If it is outside, dirty, and located in Northern Kentucky…well, we would like to clean it for you! We really enjoy making the old look new again. We only use the ‘soft wash’ pressure washing technique when cleaning the exterior of a home. Great question. Contrary to popular belief, pressure washing companies do not simply blast grime off exterior surfaces. OK, some do…not us! Soft washing is the process of using pre-treatment agents coupled with slightly-pressured water to gently remove years of buildup without damaging your siding, windows, shingles, or anything else! Bonus: The pre-treatment also leaves behind a protective barrier which will increase the amount of time before new dirt and grime start accumulating again. We want you to be 100% comfortable with us on your property. If you would like to see any of our official business or insurance documents, please just ask and we will email them right over. We are a small, local business. The owner is currently still on each and every job. So, please feel free to call and talk with Ethan before scheduling your service, and then you can expect him to be the one performing your service as well. We also have more info on our about us page. Commercial or residential, big or small, we clean it all! When you contact us, you become our top priority. We offer our pressure washing services to all of Boone, Kenton, and Campbell County, KY.
For commercial clients, we vastly expand our service area to accommodate chains. A general rule of thumb for how far we can travel for commercial work is a 300-mile radius from Cincinnati with a minimum of 15 locations. Please contact us if you have any questions or would like to receive your free, no-obligation quote or bid. We support our family from the revenue generated by our small business. With the owner on every job, we are 100% confident you will be completely satisfied with your service. If for any reason you are not, we are more than willing to make things right. Simply contact Ethan and we will work something out, even if it means we return your payment in full. Hear what our current and past customers in Northern Kentucky have to say about their experience using our pressure washing service! Ethan is the owner-operator. He will be the one providing you with your quote to completing the work. You may see him training new employees as the company continues to grow in 2019. Learn more about our Northern Kentucky pressure washing service. Pressure washing your home, business, and/or anything else that needs power cleaning on your property. 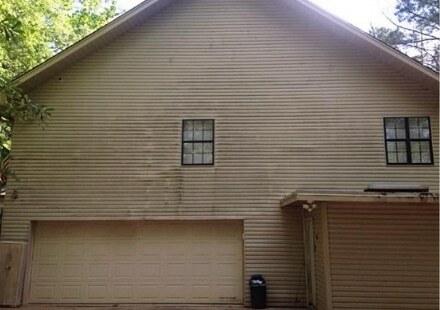 Think 'exterior cleaning.' We pressure wash everything from houses and roofs to decks and fences, to driveways, patios, retaining walls, parking lots, and more. You are the boss. We cater to our clients' wishes whenever possible. With that said, we are a very popular option for pressure washing services in NKY so please schedule your service well in advance if you have a specific date you would like your work performed by! Get on our schedule. At your home or business, we even bring our own water if needed! We work primarily in Northern Kentucky, but do travel within a 300-mile radius from Cincinnati for commercial clients with multiple locations like restaurant chains, hotels, and businesses of that nature. We love working outdoors! Plain and simple. Not to mention we really love seeing the before and after and getting that instant gratification! With our professional pressure washing equipment and expertise. We utilize the 'soft wash' technique to not damage your property when appropriate and also have hot-water capabilities to remove the toughest stains. To get started, please contact us so we can get you our free, no-obligation quote. If you accept our quote, we will get you on our schedule quickly. 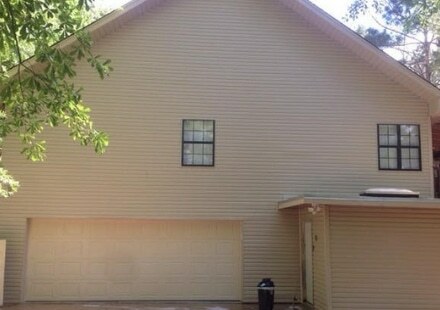 You can then expect us out on that date to perform your power washing service at the price we have already agreed upon.